Travel writing affords Noreen the freedom to journey to amazing destinations I've always wanted to. I’m about to board a flight to Venice, Italy. 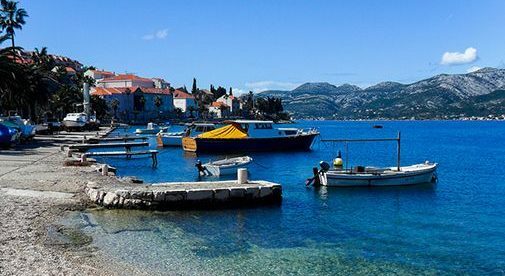 This is the start of a two-week vacation that will encompass Croatia, the Greek Isles, and, of course, the land of la dolce vita. I’m a freelance travel writer, and though this trip was conceived purely as a personal vacation, I managed to line up nine letters of assignment from well-paying publications. In doing so, I practically covered the entire cost of the trip even before I packed my suitcase. For anyone else, this two-week vacation would have left them $3,000 out of pocket, but for me the trip will be as good as free when all is said and done. This is what life looks like as a travel writer. I get to explore the world on someone else’s dime. Boutique hotels, 5-star restaurants, wineries, breweries, city tours, adventure activities: all these and more are part of the complimentary perks I receive. In exchange for being hosted by tourism boards or individual venues, I deliver them published articles and promote them to the world. And some tourism boards have even footed the bill for airfare and transportation. When you think about it, it makes a lot of sense. It costs them only a fraction of what they would spend on an advertising campaign, and they get a lot of exposure in return. I get to live out my dream. It’s the perfect quid pro quo. Four years ago, when I took my first step into my travel writing career, it would have been hard to believe that I’d be venturing to magnificent exotic destinations like the Virgin Islands and Hawaii, and not only get a ton of free perks but get paid to write about them. In just this past year alone, I’ve been hosted by magnificent California coastal destinations, stayed in luxury villas in Baja, Mexico and Valle de Guadalupe, Mexico’s wine country. I’ve explored fun places like the charming ski towns of Breckenridge and Vail, Colorado, the desert oasis of Tucson, Arizona, the glitz and glamour of Palm Springs and Las Vegas, and so many others. I’ve ballooned over vineyards, ocean kayaked, zip lined, mountain-biked, and parasailed. Other adventures took me hiking, horseback riding, whale watching, snorkeling, and on sunset sails and helicopter tours. The fun is endless. Travel writing affords me the freedom to journey to amazing destinations I’ve always wanted to. When I was a regular tourist, I would have had to pick and choose because I was restricted by cost and vacation time. Now that’s no longer an issue for me. Especially since I made the decision this year to hang up my stethoscope and nursing cap for good in exchange for life as a full-time travel writer. My calendar is filling up with more planned trips to Mexico, Hawaii, and the Caribbean. Asia and more European destinations are on the horizon. If my newfound freedom, and the perks that come along with my “job,” aren’t awesome enough, there’s something else that completes the picture. Though my “office” these days is in my home in San Diego, the simple truth is that I can pen a story from anywhere: a boat, a plane, or even a train. That means I can spend more time on the road. And I have a lot more stories to tell.